I love it when someone can take a simple object like a crochet hook and make it come to life bursting with personality. 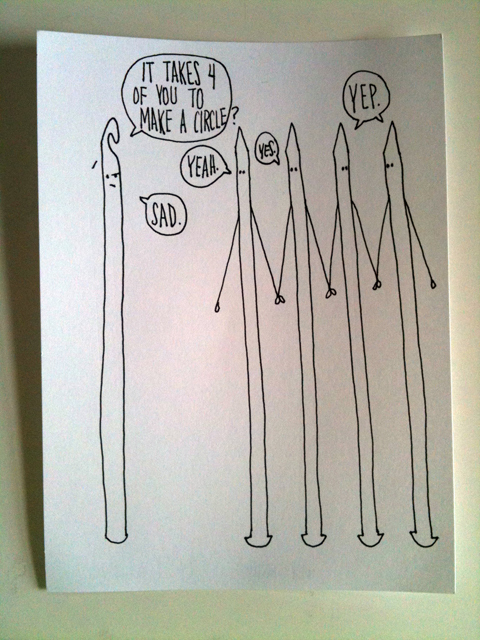 That’s what Stephanie of Obey Crochet does with her irreverent and oh-so-funny hook humor. 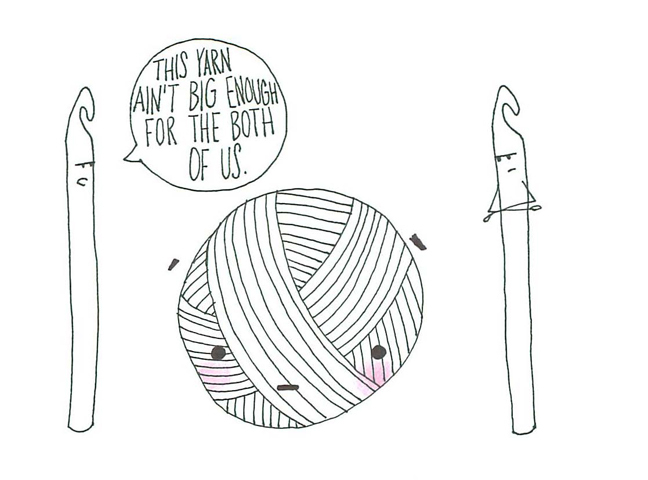 She doesn’t mean to incite a battle between crocheters and knitters, but it is too funny to resist. 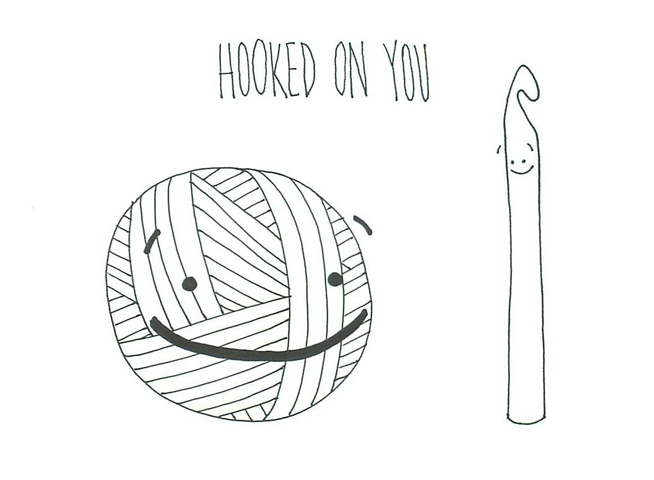 Even though I am mostly a knitter and only an occasional crocheter, I can’t help but crack a smile at her hook humor. Then I come to discover that she’s a fellow Texan! Go grab some more laughs at Obey Crochet. I will close with one more drawing that all hookers and sticksters can surely agree on. I don’t recall how I came across Angry Pear but I was hooked. 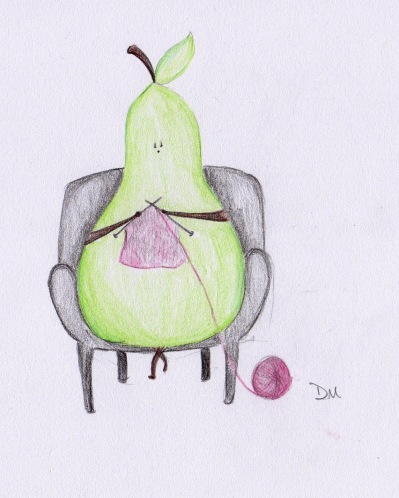 I can’t help but chuckle at Angry Pear’s antics. For a fruit with such a small face, this Pear can be quite expressive! And why is Pear so angry anyway? 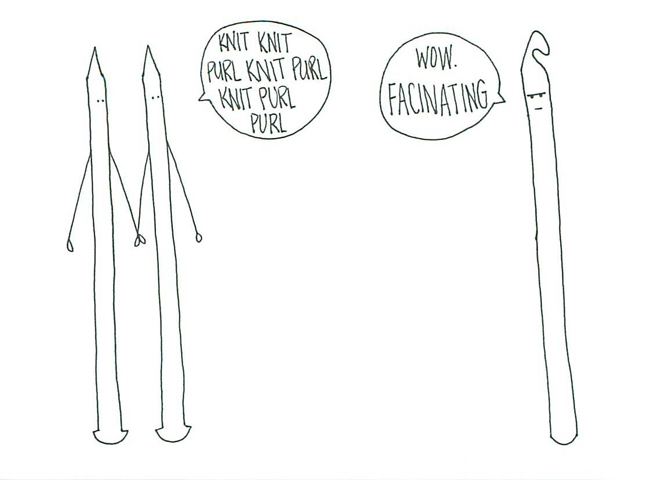 I have chosen my two favorite drawings to share because they just so happen to be about knitting. 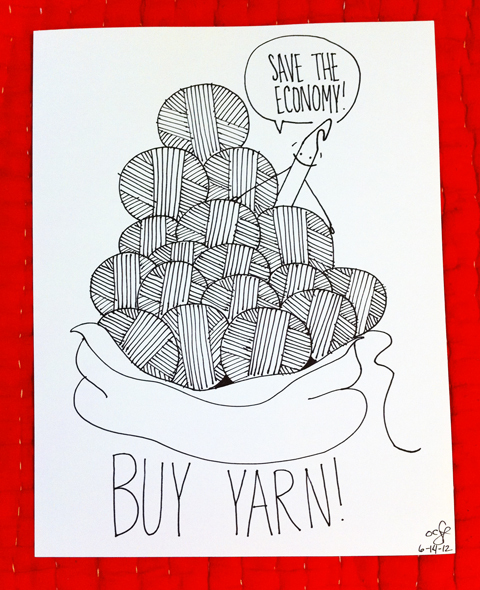 Thanks to Drew McKevitt, the artist (and a knitter, by the way), for giving Agujas permission to post her artwork. Stop by Angry Pear whenever you need a smile. 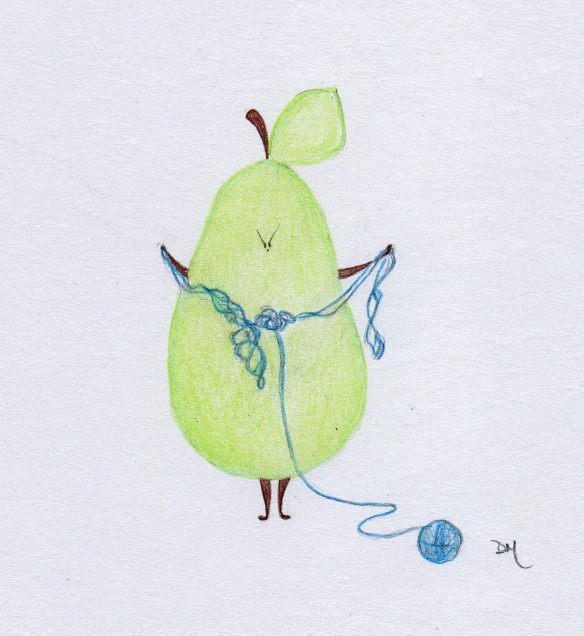 And be on the lookout for another Angry Pear knitting mishap.